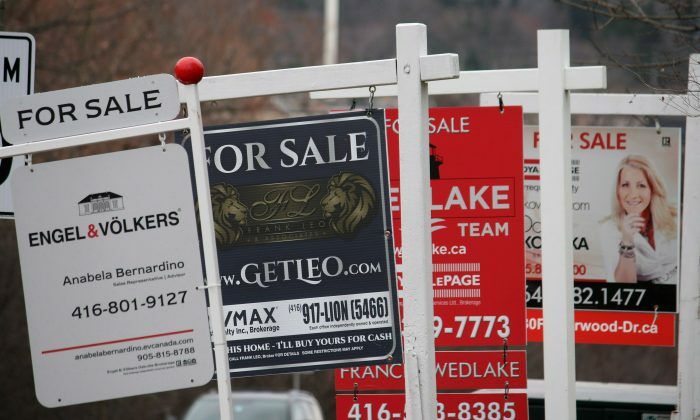 TORONTO—Canada’s largest real estate board is calling on Ottawa to revisit whether a stricter mortgage stress test introduced last year is still needed, arguing that the policy has negatively impacted the economy and Toronto’s once red-hot housing market. “While we saw buyers return to the market in the second half of 2018, we have to have an honest discussion on whether or not today’s homebuyers are being stress tested against rates that are realistic,” said John DiMichele, chief executive of the Toronto Real Estate Board (TREB) in a statement on Feb. 6. The OFSI-mandated stress test, which came into effect in 2018, cooled housing markets in Toronto and Vancouver by limiting the ability of those with a more than 20 percent down payment to qualify for mortgages. An existing stress test already required those with insured mortgages to qualify at the central bank’s benchmark five-year mortgage rule. On Feb. 5, OFSI assistant superintendent Carolyn Rogers defended the stricter rules, saying that a “margin of safety” was still “prudent” in the current economic climate. She also said the group was open to changes when warranted. TREB, which represents more than 52,000 real estate agents across the region, says under the stress test rules, homebuyers have to qualify for monthly mortgage payments nearly $700 more than what they would actually pay. Realtor Tom Storey says demand in the Toronto housing market remains strong despite the stress test rules, noting that a bungalow in east Toronto he visited last month with a client garnered 21 bids and sold for more than $200,000 over asking. He says there are still many buyers out there, but the problem is that inventory is drying up, especially in these slow winter months. Storey says he doesn’t think doing away with the stress test would result in a more equitable real estate market. Despite the challenges, TREB says it expects to see a “moderate improvement” in sales and sale price this year in Toronto’s real estate market but doesn’t anticipate either to hit the record levels seen in previous years. Will We Survive the Devastating Information and Technology Revolution? Vancouver’s once meteoric housing market, battered by regulation and taxes is getting pummelled. Stunning Penthouses Offer Sought-After Lifestyle in Heart of Downtown Montreal-Move in Today.